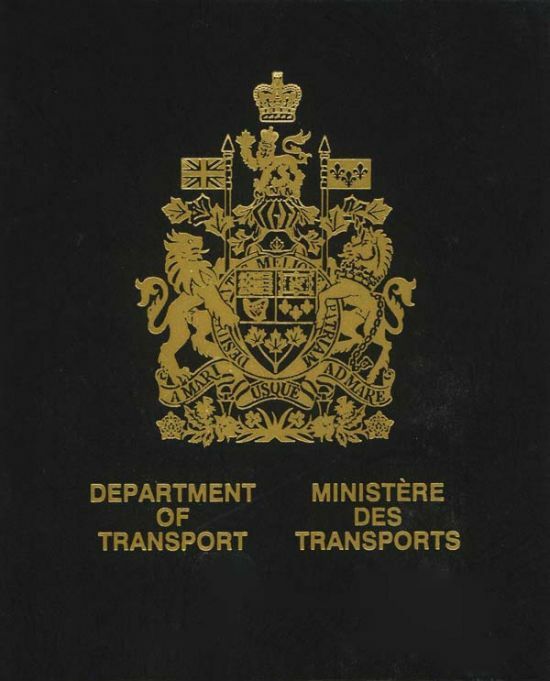 Candidates for the Master Limited - 60 ton (with passengers) should find the following information invaluable as they work through the syllabus from Transport Canada. Having recently completed the 60 ton certification myself - I thought I would do my best to summarize the process, identify information sources, and give a better idea of what to expect that I was able to find at the time I was studying for my exams. Without this information, the process can be a bit confusing at points - there is a lot of conflicting information out there - especially from the Trasnsport Canada documents - which assume you already understand the entire process. Even now after I´m finished the whole thing - I see bits that don´t make any sense to me. I have provided a step by step process for how to complete this at the bottom of this document - there are probably other ways to get through it - and everything depends on your esperience and what certifications you may already have - but it should help regardless. All of the exams you can study for on your own (this is what I did) - but you will need to take a course for the ROC-MC and the MED A2 as well as the First Aid. Instead, if you wish, you can take a single course that covers everything here - it costs a lot more - but you can get it all done in one fell swoop. This document is not going to be necessary for people taking that path - it´s mainly for those wishing to work through it on their own and save a couple thousand dollars in the process. For many, this is the hardest thing to get - it must be 60 days (8 hours each) performing deck duties - which means being the cook doesn´t count - you must be on the bridge as part of the watch. The sea time must be on a commercially registered vessel (needs to be in their database) The Master must sign off the time (they will call to check) The sea time must also be on a vessel of similar tonnage - so a lot of sea time on a 6 ton boat - even if it´s a commercial water taxi - may not cut it for the 60 ton certificate. I was lucky - I had 150 days sea time from SALTS vessels (~ 80 tons) so it was no problem - but for many this is a tricky one. Not too much to say about this - go to My Wife´s company BC First Aid (shameless plug) or a local: Red Cross, St. Johns Ambulance etc... and take the course. 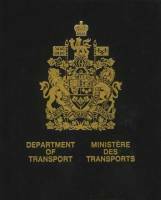 The only note is to make sure it´s the one currently required by TC Marine some of the documentation from Transport Canada makes it look like other courses will suffice - so double check this before you take it. What´s the difference from a normal first aid course? When I took it, just a small booklet that you need to read in addition to the course - that´s it, there wasn´t even an extra part on the exam. Restriced Operators Certificate - Marine Commercial This is the required marine radio license for the 60 ton certification. Again, you will have to take the course. Unlike the basic ROC-M (the non-commercial version) which you can self-study and challenge the exam. This one includes time using simulators and covers more of the GMDSS system. Covering things like INMARSAT NAVTEX and various SOLAS devices . Marine Emergency Duties A1/A2 This is another course you must take - but again, its well worth it. The most important note here is the A1/A2 distinction. They are virtually the same thing! The only difference is that A2 includes about 15 mins about passenger crowd control (and a really bad old BC Ferries video if you´re lucky) that you must have if you ever want to carry passengers on your vessel. They cost the same, and they or the same duration. Its a pretty cool course though: You get to try on survival suits, inflate a life raft in a pool, shoot off some fire extinguishers etc... but again - this was the second most expensive part of the whole process. Chartwork Study Notes Section - Coming Soon. Again, you can choose to take a course for this - but this is all about memorization - so its all about self study either way. The exam is a 100 question multiple choice exam that you have 1.5 hours to complete. All you need for this exam is a pen and a pencil. Once you get to this point you have done it all - all you need to do now is do it all again. First Get your sea time. All crew require at least MED A1 within 6 months of starting work at sea anyway, so you can start with that and the ROC-MC while you´re getting your sea time. log all your sea time (or use a discharge book) and ensure you get the master to sign it off using the Transport Canada Sea Time Form they won´t accept sea time any other way. Fifth Take the oral and you´re done. They will even give you the formal certificate right then and there if you pass.